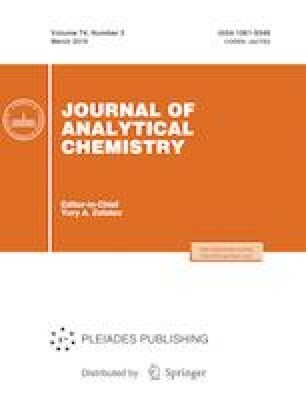 A new voltammetric approach was developed for the determination of paracetamol in tablet and syrup samples using chemometric optimization. The method is based on the use of the gold nanoparticles–polyaniline (AuNPs−PA) modified pencil graphite electrode (PGE). Electrode system was fabricated by using the electrochemical reduction of gold on aniline modified pencil electrode to give gold nanoparticles. A 33 full factorial design was used to find optimal oxidation conditions of paracetamol on the AuNPs−PA−PGE. The optimal oxidation conditions of drug substance were found as –524 mV for the accumulation potential, 295 s for the accumulation time and pH 8.69 (for the phosphate buffer solution, 0.1 M). The determination of paracetamol was linear in the range of 2.0 × 10–7–6.0 × 10–6 M with a detection limit of 5 × 10–8 M. As a result, the proposed voltammetric approach gave satisfactory results for the determination of the related drug substance in tablets and syrup. This work was done within the Chemometric Laboratory of Faculty of Pharmacy and it was supported by the scientific research project no. 10A3336001 of Ankara University.